My orthodontist (who I babysat for) was named Dr. Bonebreak. Seriously. He was a nice guy. He had twins. Also, one of my dentists when I was a kid was Dr. Neil Diamond. I thought he was the singer for a couple years. I still have to wonder where that name came from. Really too bad he wasn’t an orthopedist. Perhaps he thought that would be too trite…? 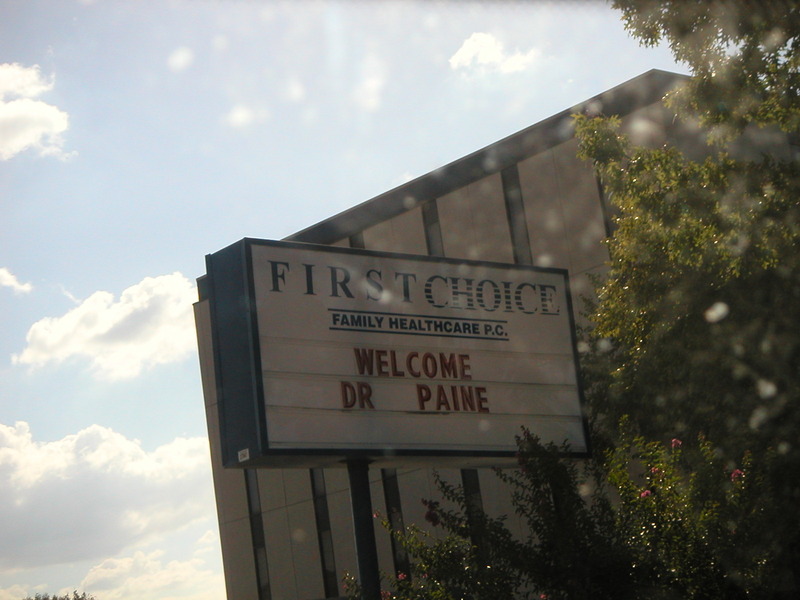 I once worked at a physic hospital that had a Dr. Looney and Dr. Doctor. It was fun watching new people come in and listen to the intercom, their eyes would get buggy and start to laugh or look frightened.